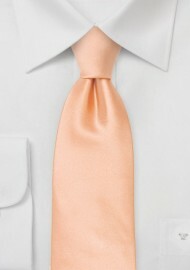 This peach orange necktie is perfect for the spring season! 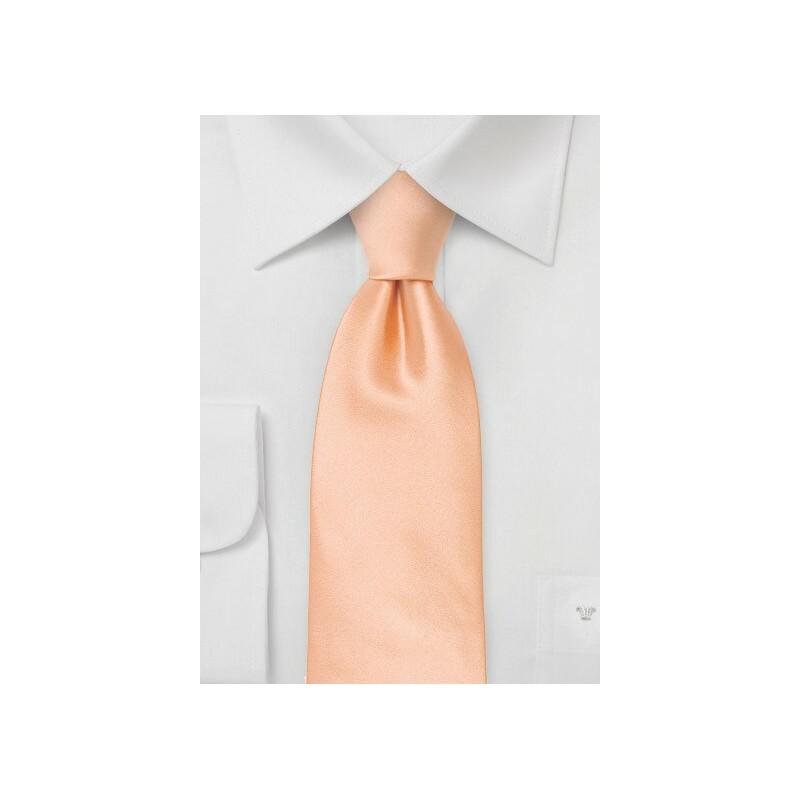 The light pastel orange color looks best when paired with suits in navy, tan, as well as preppy seersucker suits. Our favorite outfit for this summer tie: Navy suit with three button jacket, solid white shirt, and a matching solid peach colored pocket square. Please note that this tie is made in long length. It has an untied length of 62 inches and is perfect for taller men, men with a larger collar size, as well as those big & tall men that want to tie a larger necktie knot. Made from care-free microfiber by Puccini.